When I was still in high school, a friend’s (Shirley) older brother arrived home one day on a 10 speed bike. He had just ridden home from Alberta where he had spent the winter working at a ski lodge and he took his end of the season bonus, bought a bike and rode home to Toronto. I was amazed; this is how you should spend your life. This is how I should spend my life. I questioned him about all of the specifics and over a period of time I decided that this was for me. With the passing of time and the passing of my final grade 13 exams, I was a free agent with no plans responsibility or cash. 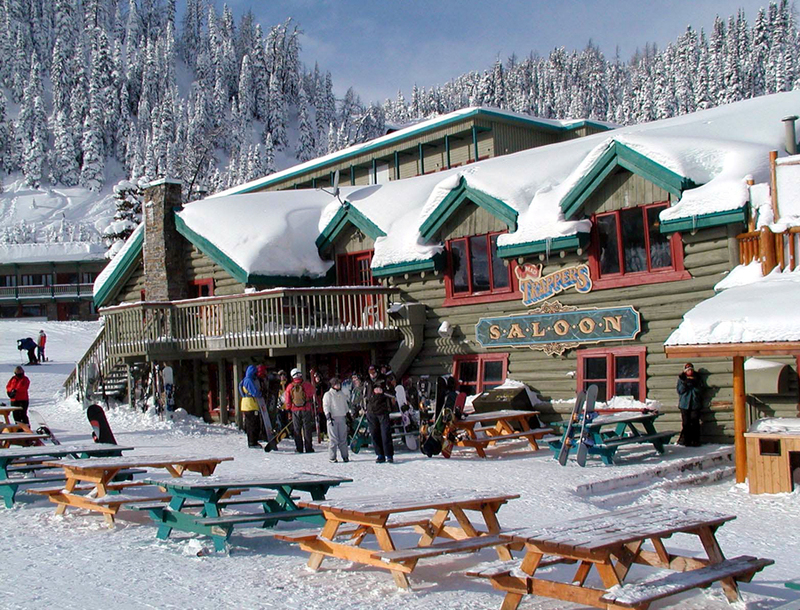 I contacted Sunshine Village ski resort and applied for a job, any job for the upcoming season. More time passed and one day there was a letter in the mailbox telling me that I had a job with Sunshine Resorts and I should be at the Banff bus station November 22 at 2:00PM. I lucked out when it came to jobs. Some people had to stand either at the foot of the chairlift or the top, helping customers on and off the chair. Others worked cleaning the rooms or working in the kitchen, restaurant or bar. A few were hired to run the snow ploughs and large “grooming” machines. I got the front desk job that entailed checking guests in and out, calling the Calgary radio stations and lying about the snow conditions. I was to always say the conditions were EXCELLENT and we were expecting more snow at the present time. Once people made the hour and a half drive to ski, they were going to have a great time no matter what. Well, that’s what the general manager said. We did get snow for the opening day, and it was more than I would ever have thought could drop in a day. In fact, one day, late for work I blindly ran out of the staff cabin right into an eight foot drift in front of the door. Within two weeks, all of the runs had a good base and more snow was coming all of the time. The day before opening, all of the staff was treated to a dinner party in the main lodge. The drinks were plentiful the food excellent and it was the first time I had ever had Baked Alaska. I did like working at Sunshine for the most part. My job was pretty easy and I got to talk to people from most parts of the world. Our shifts always began or ended at noon which gave us the opportunity to ski for a half day, every day which was the reason all of us were here. Well, except for that one guy who just always wanted to work in the hospitality industry? Most of the staff were returning workers and great skiers, so I didn’t actually have anyone to ski with. I guess I was pretty lonely most of the time. The friends I did make were more acquaintances than friends or co-workers at best. I was pretty shy back then and missed the closeness of my friends back home. I missed everything, the classic home sickness. I couldn’t stay. I should have stayed, but didn’t. Who knows where I would be if things had gone differently? I do know one thing, I wouldn’t trade my life now for anything.